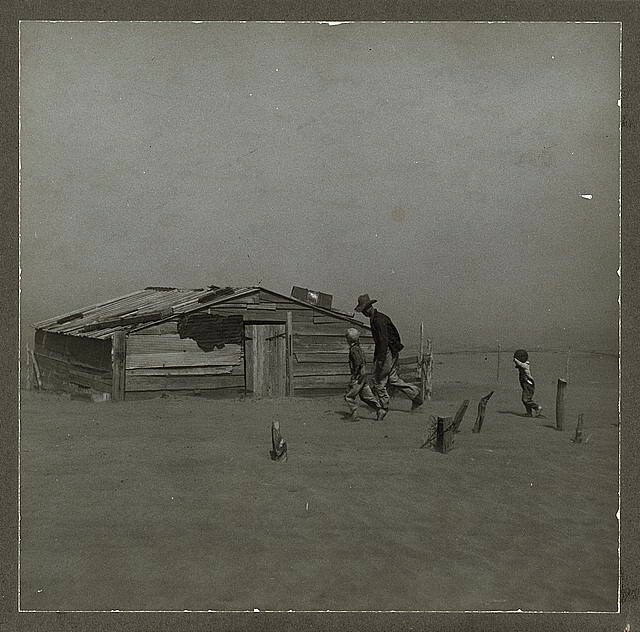 The Southern Plains region of the United States suffered severe drought resulting in catastrophic dust storms during the 1930s. It came be be known as the "Dust Bowl." With the destruction of crops, farmers lost their means of income. The Dust Bowl amplified the economic impacts of the Great Depression, forcing many farming communities to migrate for better living conditions and work.